Taken today, at a neighbourhood park in the heart of the city, after the January rains melted the snow away. Beautiful! I would love to walk around this park! It is a truly beautiful park! Wonderful for walks. And, photography! Thanks so much for your visit here! It’s lovely to hear from you. Juli, the tones and curves in this are absolutely gorgeous! This is so, so lovely! 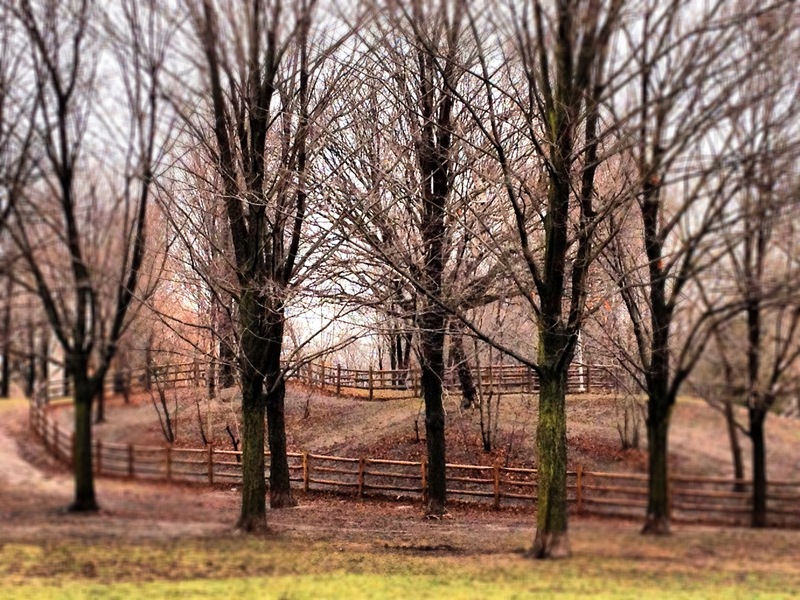 I love how you filled the frame with the bare trees – and the way the fence and path weave their way through the image. And that bright bit of green at the bottom, grounding everything in the promise of spring.